Promoting your business at trade shows and exhibitions has never been easier. What is the difference between display stands and pull up banners? which one is better? You don't have to choose, it's a matter of knowing how to best use both to boost your business. Understanding your requirements clearly is the first step and most critical part of a great display solution. Fill out a design brief here and let us help you maximise your cut through and get the best out of your exhibition experience. Snap is offering you the highest quality products produced in an advanced production line and tailored for your industry. We understand your tight schedule and budget so let our experienced team of local experts confidently map out the project, making sure you receive the display solution that best meets your needs within your timeline. 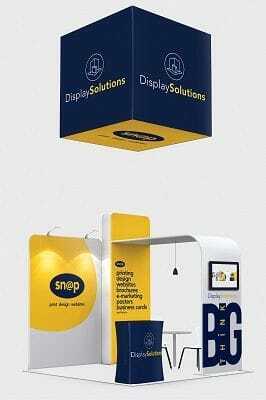 For creative ideas and exhibiting secrets contact your local Snap Centre today.